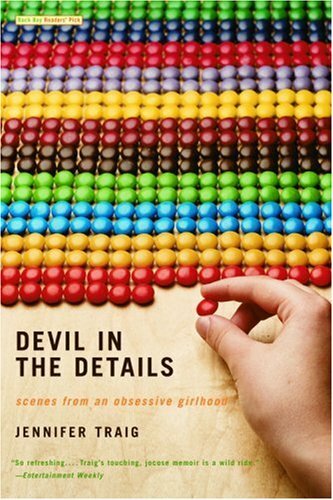 In this bittersweet memoir, Jennifer Traig laughs about her puzzling problems growing up with obsessive compulsive disorder in an era before OCD was a recognized disorder. With a witty humor, she describes trials that would have permanently scarred a less resilient youth. In a world where OCD is stereotyped in pop culture, TV shows, and movies it is a relief to find someone willing to provide a more realistic, though upbeat, view of this very debilitating disorder. I imagine many people will be able to find a little of themselves in Jennifer Traig, and teens now facing such issues will find the upbeat happy ending comforting. I give this book 5 out of 5 stars.